From choosing the clothes we wear to choosing which pawns we play a game with, colour preference is a constant in our lives. This often comes out while playing board games as many games feature a specific colour to designate each player. And like everything else, most people have a preference of which colour they wish to play with. Board Game Geek even offers among their large collection of microbadges for users to add to their profiles, options for displaying which colour you prefer to play with. But why do we prefer certain colours over others? Well, in an article from Psychology Today, it is suggested that “brightly saturated colors [are] preferred over the same hues that [are] muted or pastel” with “bright reds, blues, and green, [being] the most highly favored colors”. As well, “brown and olive green [are] significantly less preferred than orange or yellow.” If we look at the fifteen colour options given by Board Game Geek’s microbadges and which of those have the most users who have purchased them, the results are as follows. As you can see, the results of colour preference largely replicate the study from the Psychology Today article, with the brighter, more saturated colours being preferred over duller or more muted colours. As the original article states, there is “a cultural influence on color preference”, with different cultures associating different colours with certain things. For example, as per this article, in many Eastern cultures, red is associated with good luck. 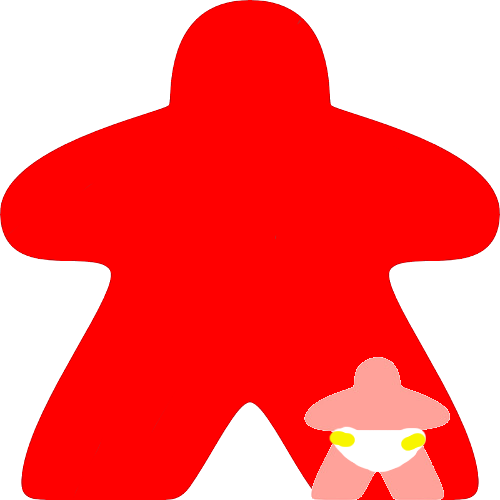 It would then make sense that an Eastern gamer would choose red to play with as the cultural association would be something the player would want during the game. However, an African player would likely not choose red as red is associated with mourning in many African cultures. Green, the most popular choice for gamers according to this data, however, is probably the most popular choice for gamers for its psychological effect. This article suggests that green “is known to help alleviate depression, nervousness and anxiety”, which is very important during a game as being calm, cool, and collected will help a player strategize better. Similarly, yellow, the next most popular colour, has been shown to exhibit player-aiding psychological effects. According to this article, yellow “helps activate the memory, encourage communication, enhance vision, build confidence, and stimulate the nervous system”. Colour preferences have many different psychological and cultural reasons behind them. Whether you play with green or play with blue, we all have some reason for choosing the colour we do, whether we know what it is or not. So what colour do you play with? Let me know in the comments. I follow the pack as well. I tend to play red. I play with green, but I really couldn’t tell you why. It’s not my favourite colour in any other context. I look terrible in green shirts, for example. But for some reason, in gaming, I like to be green.